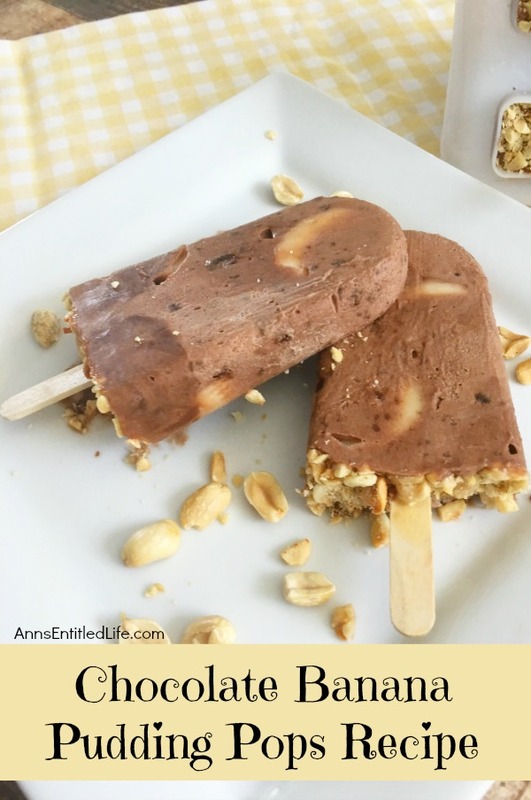 These frozen chocolate banana pudding pops are a delicious, luscious, simply fabulous treats on a hot summer day. 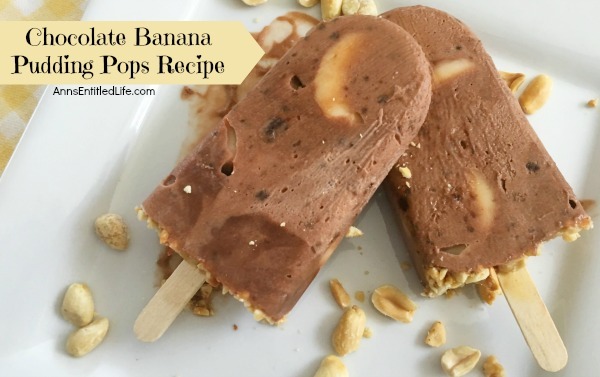 Easy to make, these wonderful frozen refreshments will hit the right cool spot as an afternoon snack, dessert or outside sweet after backyard play. • In a large bowl, mix together your instant pudding and cold milk and set in the fridge for 5 minutes until soft set. 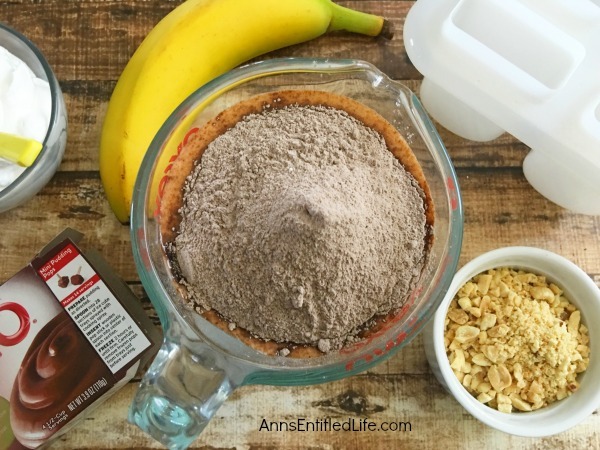 • Mix in your whipped topping. 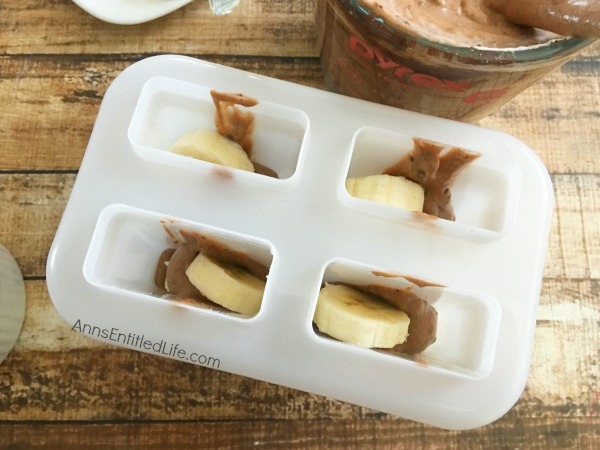 • Place a tablespoon of pudding into the bottom of each of your pop molds. 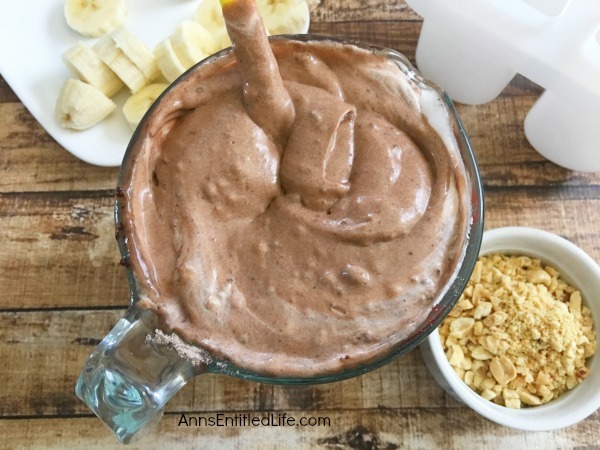 • Place several banana slices into your molds, a little more pudding, a couple more bananas and top off with pudding, leaving a small space for your crushed peanuts. • Place a craft stick into each mold. 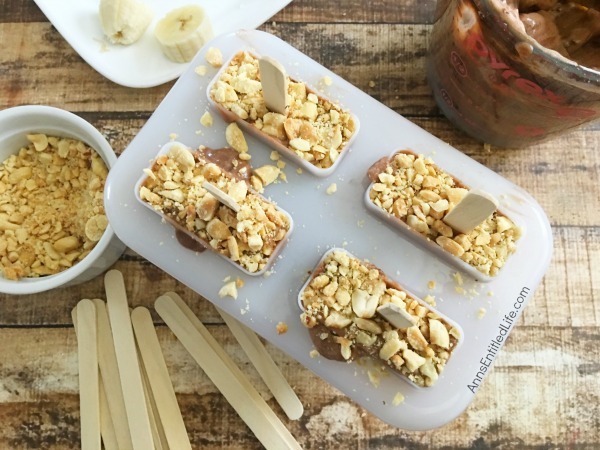 • Carefully press your crushed peanuts into the top of your mold and set in the freezer for about 5 hours or overnight. 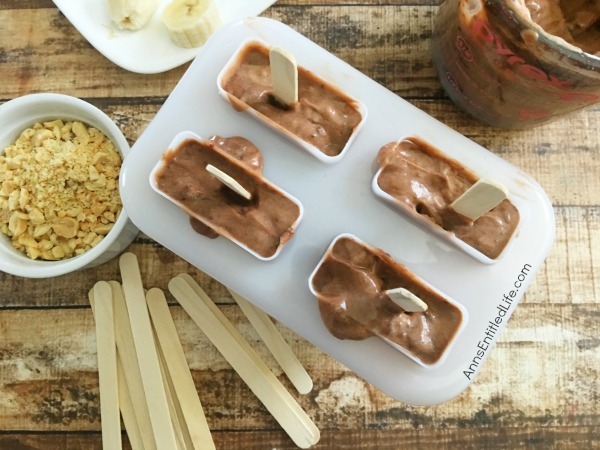 • Place the outside of your mold under running hot water (don’t let the water touch your pudding pop) for approximately 15 second and carefully wiggle the crafts sticks to pull your pops out. 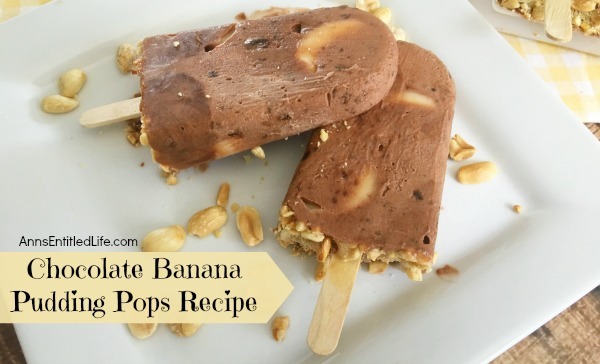 • Place several banana slices into your pop molds, a little more pudding, a couple more bananas and top off with pudding, leaving a small space for your crushed peanuts. 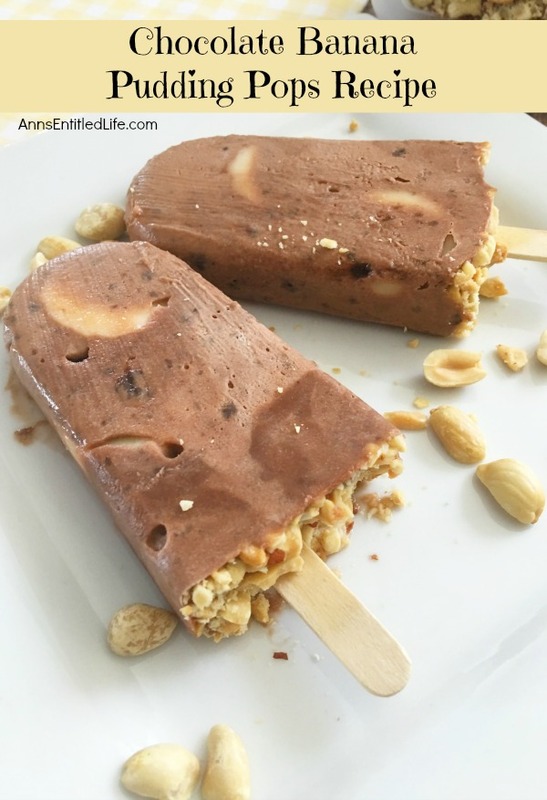 • Carefully press your crushed peanuts into the top of your pop mold and set in the freezer for 5 hours, or overnight. 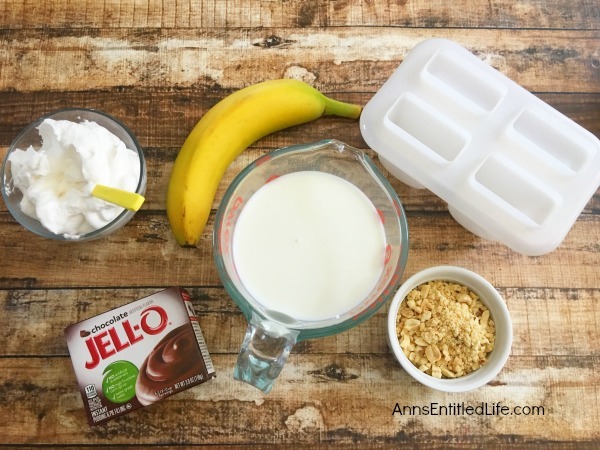 • Place the outside of your pop mold under running hot water (don’t let the water touch your pudding pop) for approximately 15 second and carefully wiggle the crafts sticks to pull your chocolate banana pudding pops out. 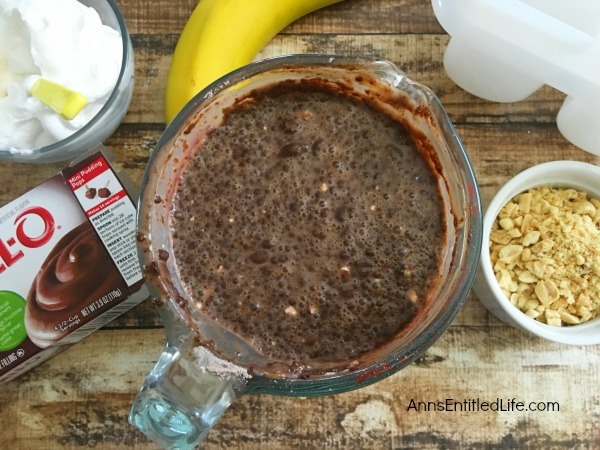 • You could substitute vanilla pudding, banana pudding, etc for the chocolate pudding for a different taste combination. • You could substitute crushed walnuts or cashews if crushed peanuts don’t work for you or your family. 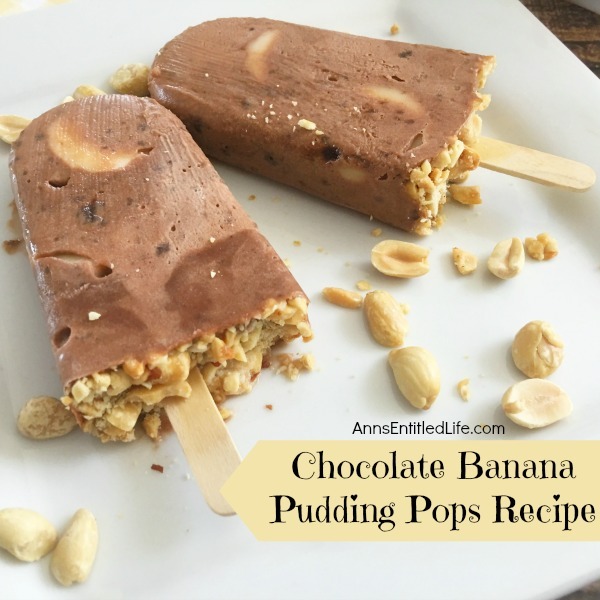 • To print the Chocolate Banana Pudding Pops Recipe, click here. I love chocolate and banana together lately. The right mix of fruity and chocolate-y I guess. Plus, popsicles! Thanks for joining us at Delicious Dishes! !